My daughter's been super picky lately when it comes to eating different foods. She wants to stick to the same things, and let's be honest, that's a pain! I love to make new and different meals all the time, so we compromised. Now she gets to pick out recipes she likes, and we adapt them together, to make something we both love! That's how this stir fry came to life! We have no problems with her eating veggies and shrimp, in fact she loves most veggies. But hates pizza. Not a typical 7 year old at all! She also loves pasta, so we decided to add in the rice noodles. I had no idea how easy these were to prepare, so they fit in nicely. Overall, this dish turned out great. As usual, it's a quick meal and fairly healthy too. 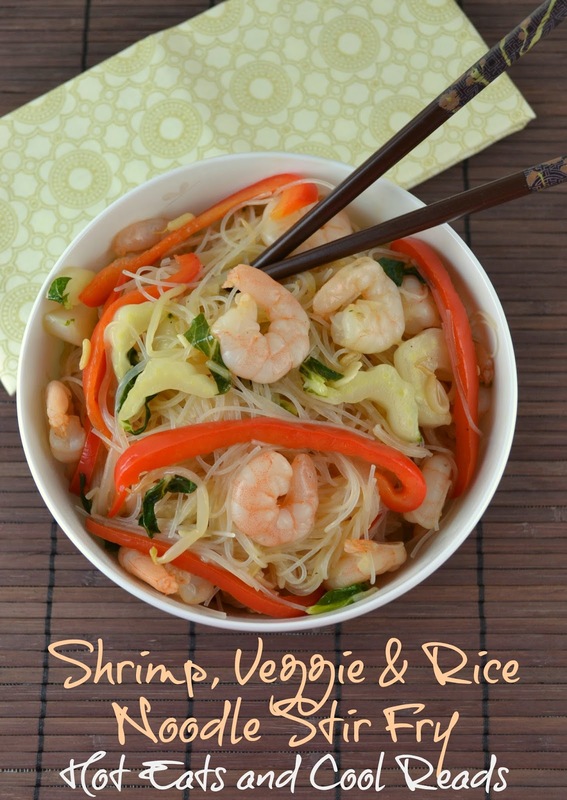 You can use beef or chicken instead of shrimp if you prefer and use a different blend of veggies. 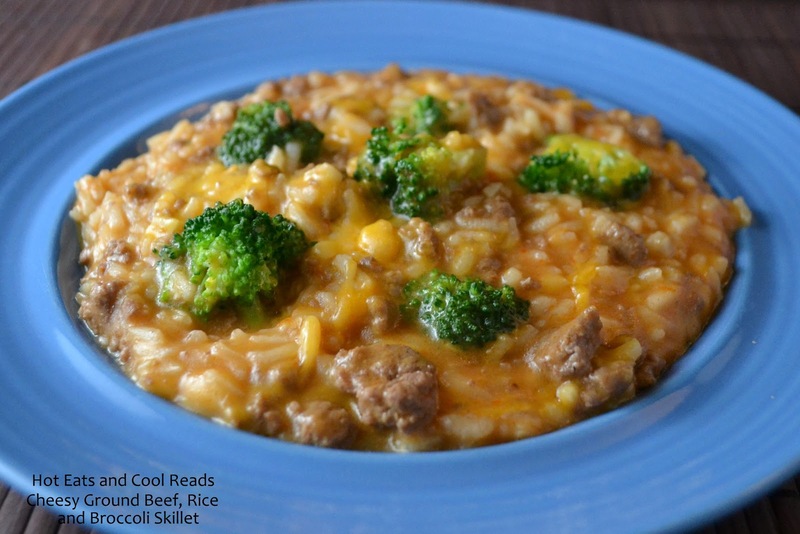 The sauce is flavorful and it's good reheated stir fry style in a skillet or wok the next day. Soak rice noodles in hot water for 10 minutes, Drain and set aside. Cut if desired. 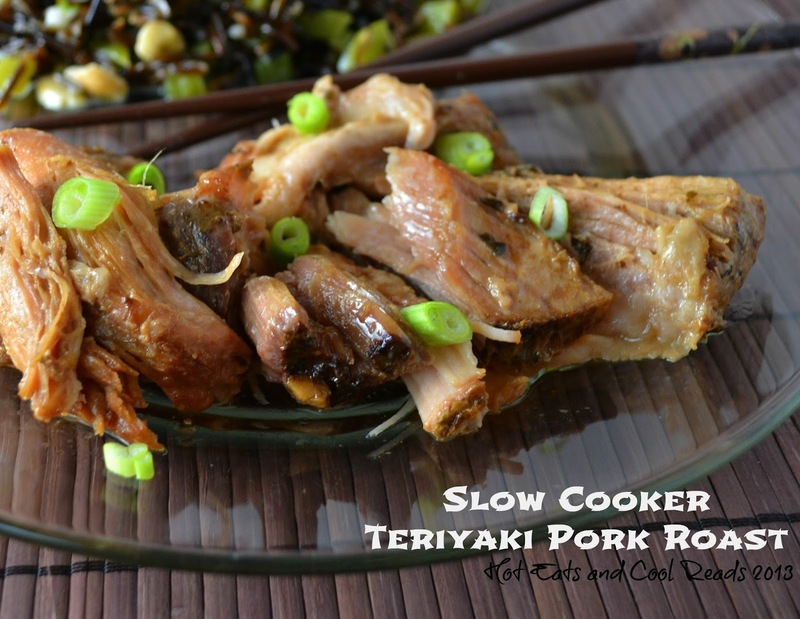 In a bowl, whisk together the broth, teriyaki sauce, rice vinegar, cornstarch, and sugar until combined. Set aside. In a large skillet or wok, heat the canola and sesame oils over medium high heat. Add the bell pepper and bok choy and saute for 4-5 minutes, stirring often. Then add garlic, bean sprouts and shrimp, saute for another 2-3 minutes. Pour in the sauce mixture and cook for another 2 minutes until thickened. Toss in the rice noodles a little at a time until combined evenly. Serve immediately. This looks really good Sheena! I could totally eat this for dinner and be one happy girl! My boys would all love this dish too. Looks so fresh and wonderful! This is a meal right up my alley. 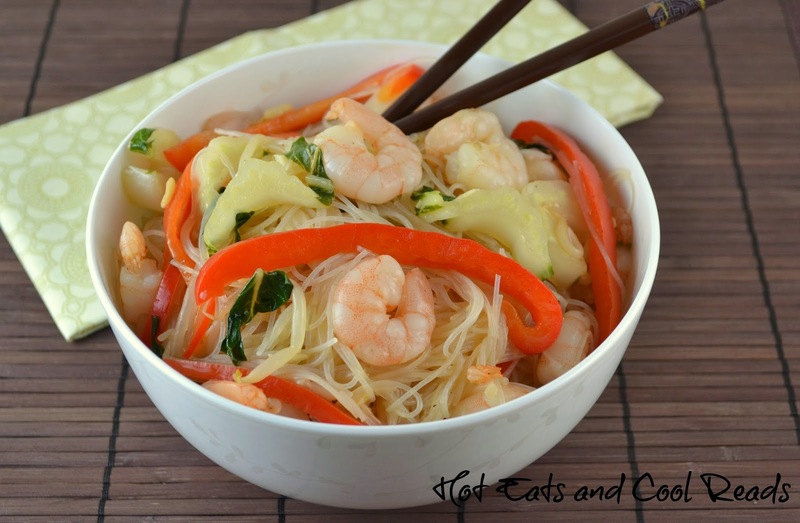 We love noodle bowls and because the are usually so quick and easy to throw together they are a weeknight option in this house often! This looks like a delicious healthy meal. This looks so good Sheena, I don't think I've ever met a 7 year old that doesn't love pizza. It's great that she will eat dishes like this one. We sure didn't have these kinds of choices when I was growing up.She's learning good eating habits now, what a plus! Looks delicious, Sheena! That's awesome that your daughter will eat meals like this...my kids are like that too! I bet they will love this! I have a similar 7 year old, but she loves pizza. Haha! This looks delicious. We love shrimp at our house! My goodness! That dish looks like it comes from Panda Express, or somewhere wonderful like that. 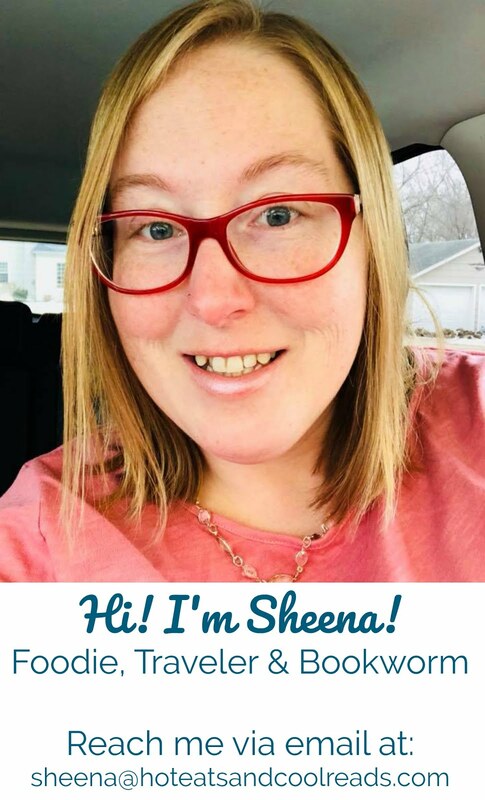 Thanks much for sharing it with us at Weekend Potluck, Sheena. Hope you have a wonderful week.